This project recognises that remembrance is fundamentally about absence, not presence. 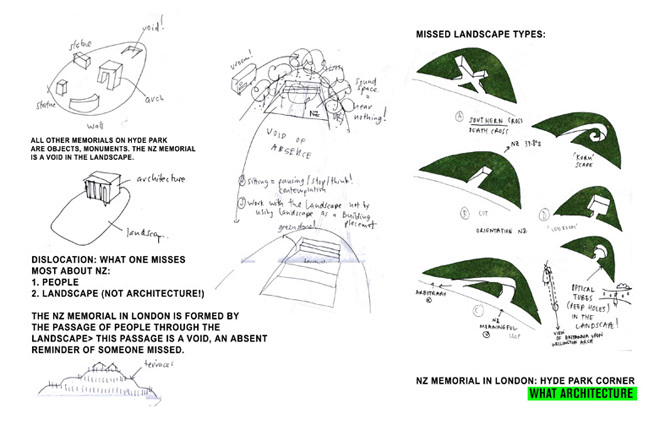 A memorial thus should be spatialised not as an object (a statue, an arch… monument) but as a void. 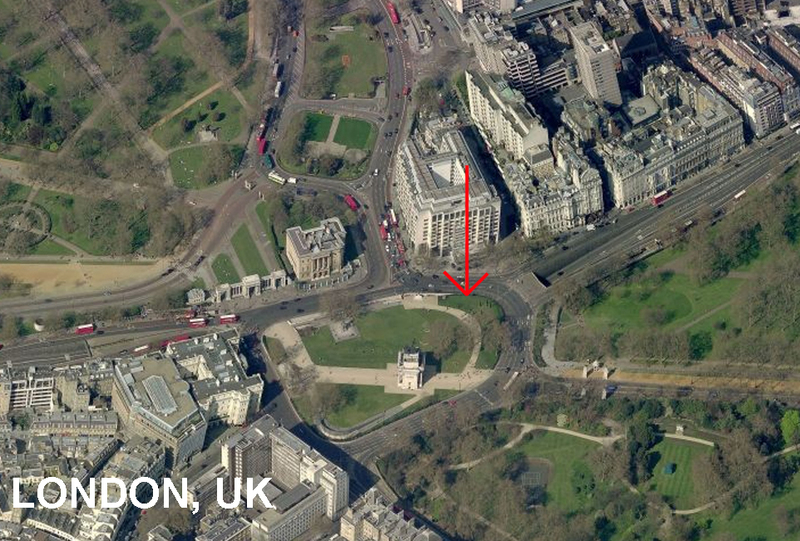 Such a strategy for a NZ Memorial in London is consistent with the resonance of those antipodeans who, whether willingly or out of duty, left for a distant land. Back home, the ‘departed’ exist in absentia, brought to life through the ephemeral yet enduring power that memories avail. In this project a space for remembrance is provided through the creation of a quiet tranquil place from which to withdraw from the city and reflect upon those people, places and events not present. Absence not as a monument but reconfigured as a ‘nu moment’ – a sensitising opportunity to consider the future from our past. In London, a displaced sense of identity says something about how we view the land left behind and the people we’ve become. The most dominant imagery in this ‘recollection’ of New Zealand features green landscapes that contrast with the immediate urban surroundings that comprise Hyde Park Corner. 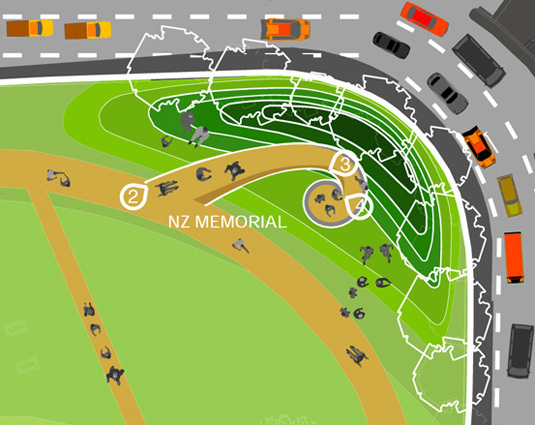 This proposal readily identifies Landscape, and not Architecture, as being the just crucial means to create a NZ Memorial. 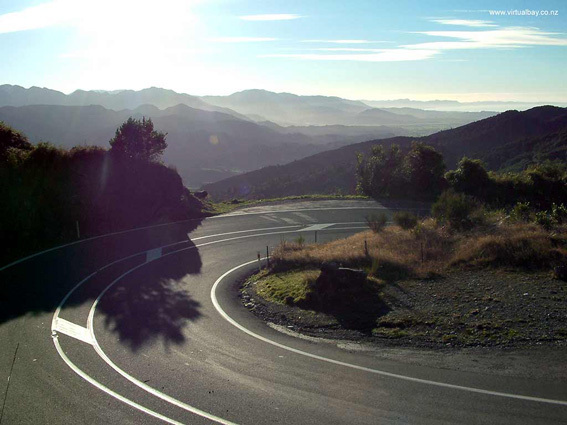 By treating the Memorial as Landscape, that particular NZ trait of looking to the world around us is brought to mind. The Absent Landscape is not an object to look at but a place to reflect from!